A pleasure to meet you, DI Evan Glover here. Given that I’m a Welsh copper, you might expect me to introduce myself with a witty, “’Allo, ‘allo, ‘allo…” but I’m not that sort of copper. I did my years in uniform, of course – that’s how we all start out – but I’m proud to have been a Detective Inspector in the West Glamorgan Police Service for the past decade…the last ten years of a career that’s spanned more than thirty. But now it’s here…the final week of my life "On The Job", as we tend to call it. It’s hard to believe it’s come around this quickly. My wife Betty and I agree early retirement’s the right thing for me, and – in my heart – I know I’m ready to go. Just three more days ahead of me, then a big leaving do on Friday night, and I’ll be a “retired detective”. Betty and I will ease into it; we agreed she’s going to continue her work as a psychotherapist and counsellor, so there’s not too much change all at once, which will be good for us, I’m sure. Betty’s glad I’m out of it; she reckons they can manage quite nicely without DI Glover. I’ve enjoyed my time on the job, and I really do believe West Glam is the best service in Wales, bar none. I feel I’ve done some good, though there’s no point believing there’s still no bad in the world. I’ll miss some of it...especially the way it always brings the unexpected into play. Like today, for example: DS Liz Stanley and I have been asked to attend the site of something classified by the local community constable in Rhosddraig as “discovered remains”. See? It’s intriguing to be sent off to find things out, isn’t it? Like what sort of remains? Where? How did they get there? And so on. I love that part of it – the finding out. 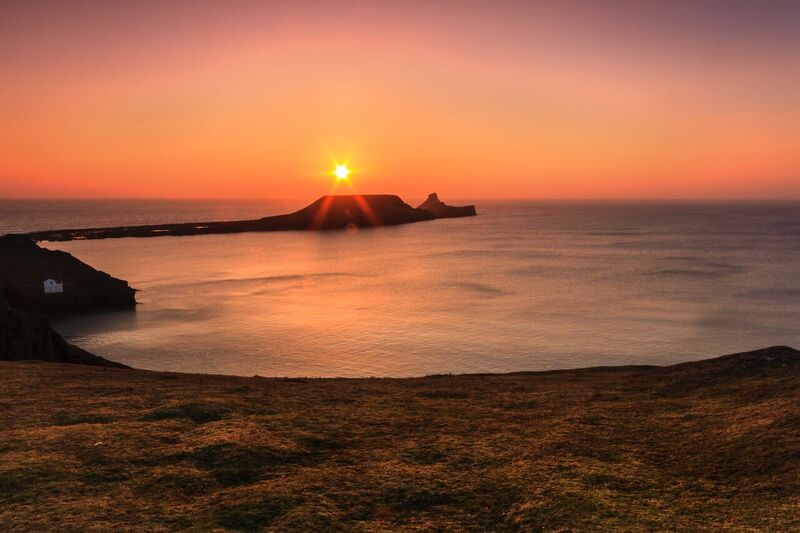 And, on this occasion, I’m off to an area I know well, and love – my mother was born not far from the village of Rhosddraig. Bit of a strange part of the world out there – being so remote, up on what’s known as The Dragon’s Back cliffs, with so many myths and legends surrounding the place. But I can’t hang about; Stanley will be waiting for me in the car park – I only came back to my office to pick up my wellies. It’s raining, and - beautiful though Rhosddraig might be - it's known for fierce winds, so the rain is likely to be horizontal. I’ll get wet, I know, but I dare say this call won’t amount to much…after all, my boss wouldn’t be sending me if it sounded remotely interesting, because I’ve only got a few days left on the job. 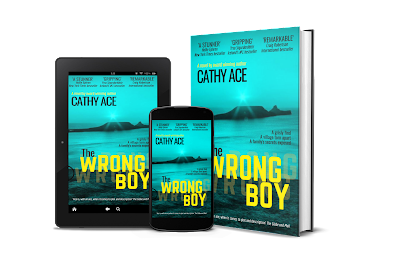 Find out how DI Evan Glover gets caught up in a case that was never meant to be his when you read THE WRONG BOY by Cathy Ace. Available in hardcover, paperback and as an e-book NOW! Perched on a Welsh clifftop, the ancient, picturesque hamlet of Rhosddraig has its peaceful façade ripped apart when human remains are discovered under a pile of stones. The village pub, The Dragon's Head, run by three generations of women, becomes the focal point for those interested in the grisly find, and it’s where layers of deceit are peeled away to expose old secrets, and deep wounds. The police need to establish who died, how, and why, but DI Evan Glover knows he can’t be involved in the investigation, because he's just two days away from retirement. However, as the case develops in unexpected ways, it becomes irrevocably woven into his life, and the lives of local families, leading to disturbing revelations – and deadly consequences . . .
Kristopher Zgorski, at BOLO Books says: "With two successful series and a few collections of novellas, some may view Cathy Ace’s decision to release a stand-alone psychological suspense novel as a strange – and potentially risky – move, but not too many pages into The Wrong Boy skeptics will realize this is a novel she was destined to write. 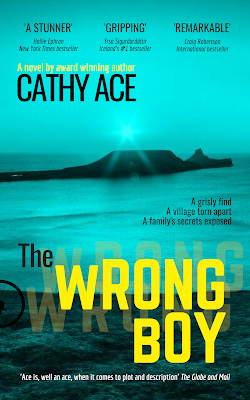 While it does skew a bit darker than her more traditional – bordering on cozy – offerings, there is nothing gratuitous in The Wrong Boy that should off-put Cathy Ace’s existing fans." Sounds intriguing. Thank you for sharing.